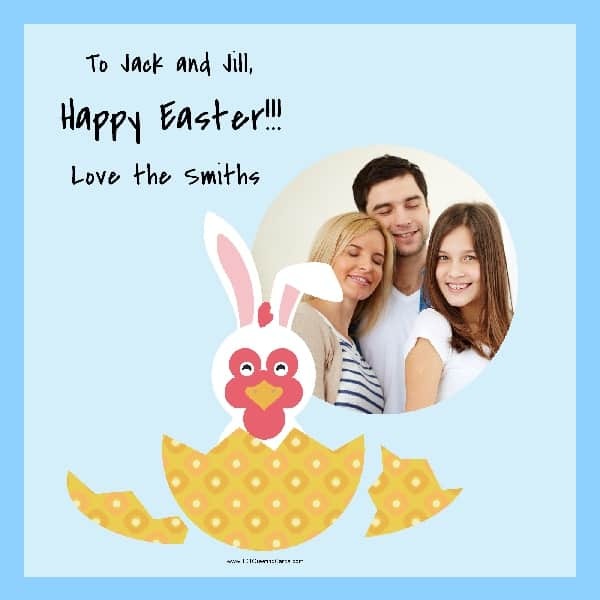 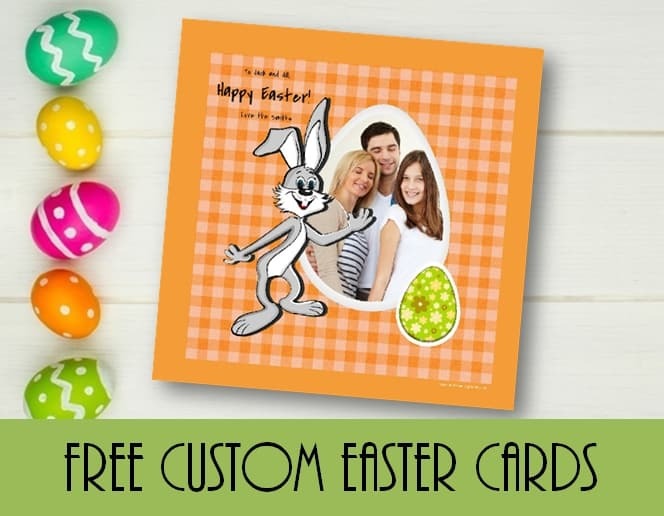 Free printable custom easter cards. 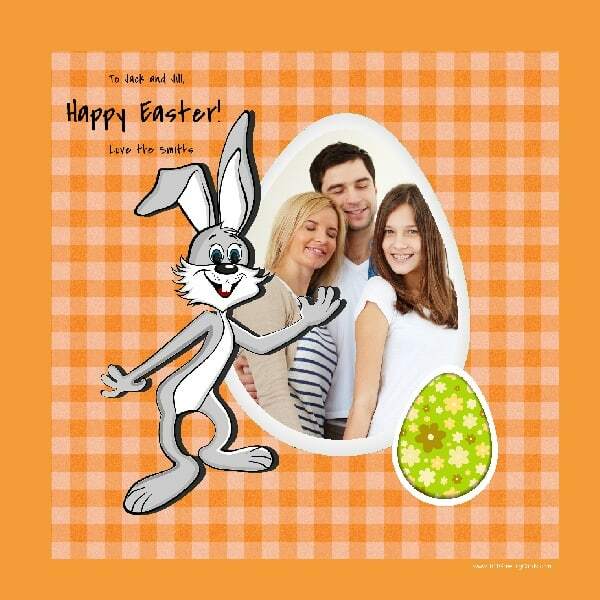 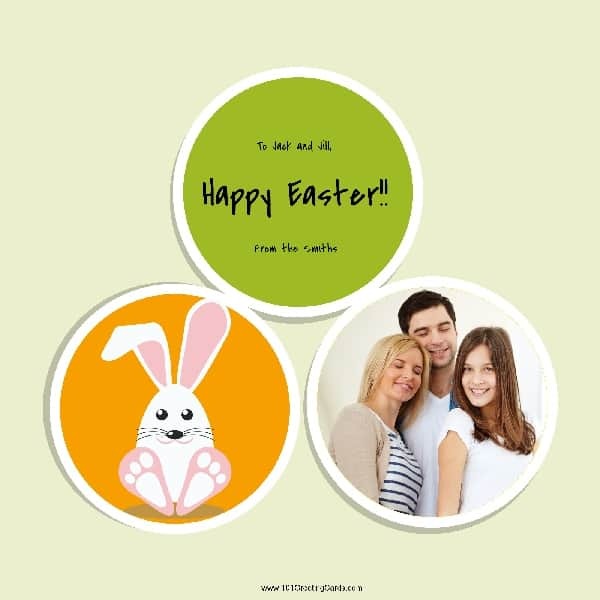 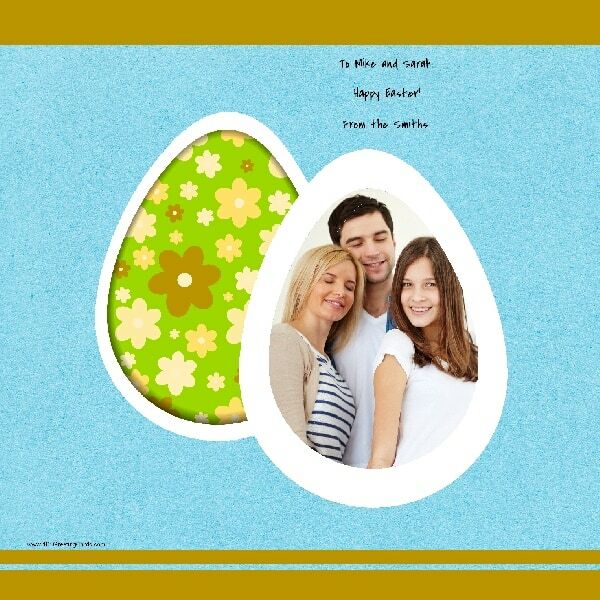 Add your own photo and Happy Easter wishes. 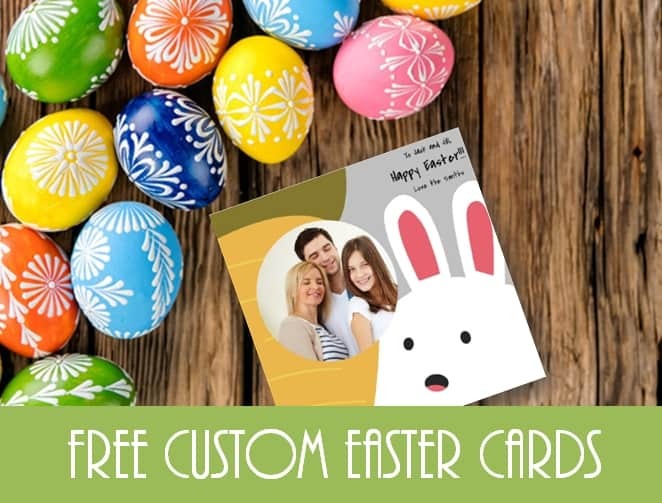 Free instant download! 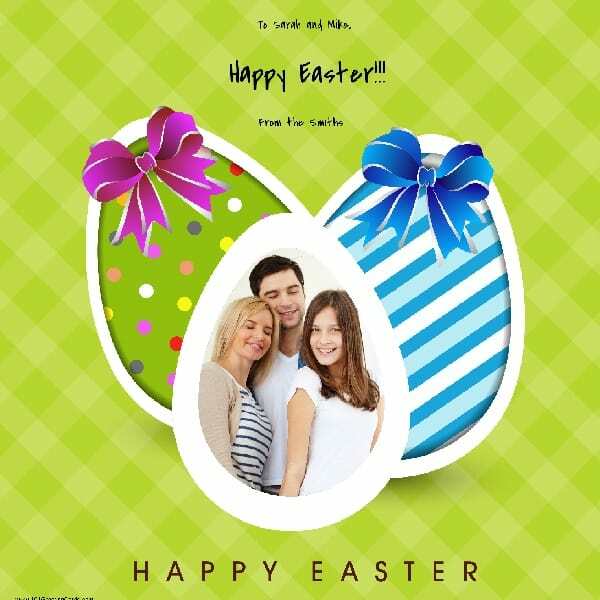 You can also find Easter tags on this site. 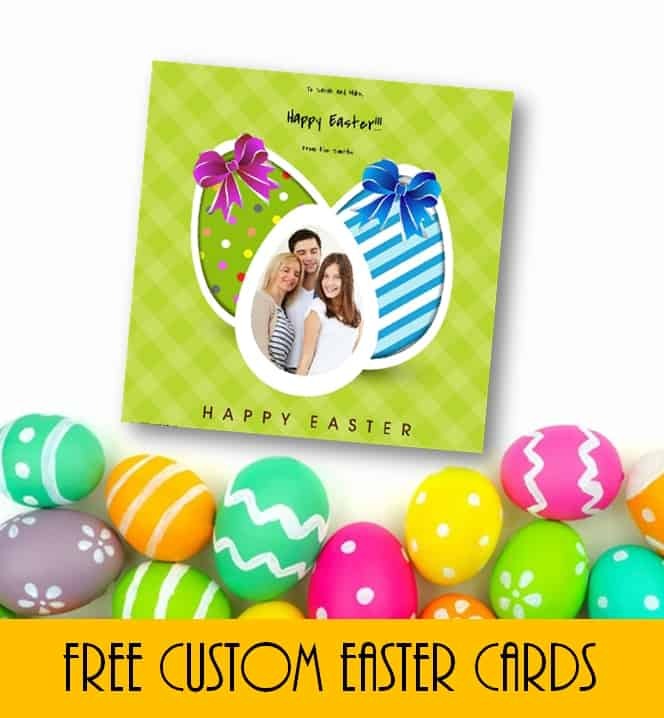 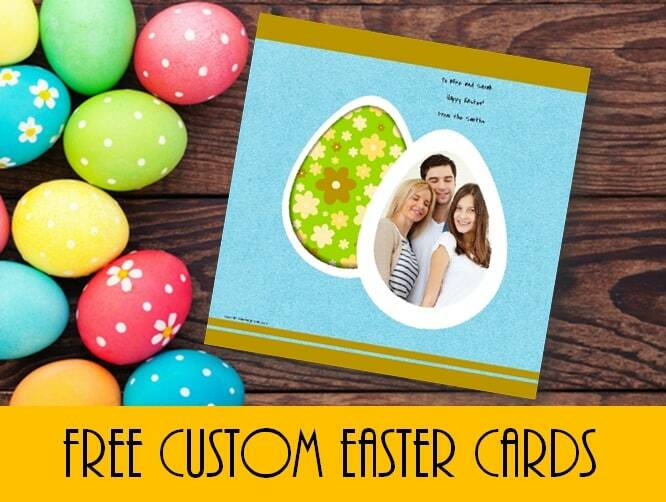 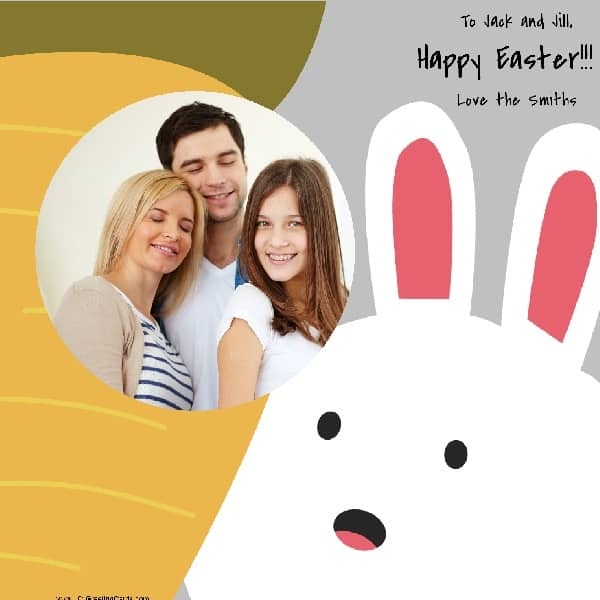 You can make generic cards to give to each person or you can change the name of the recipient to personalize the easter cards. 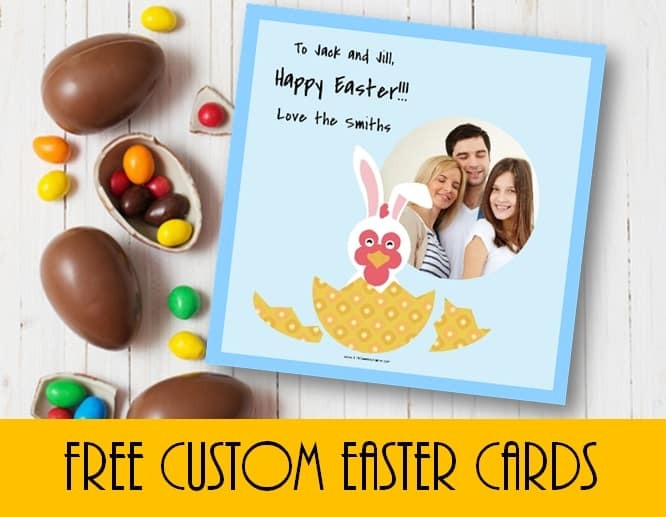 All versions are free!